 Zing Ocean Conservancy was founded in the Caribbean, where Marine Ecologist Michele and Skipper Jonas lived on their sailboat Zing. They would sail, free dive, spearfish, surf and scuba dive, and lived sustainable lives having only the sun as the energy source for their home. It wasn’t hard to see the problem. There was bleached coral reefs, and plastic everywhere. So they started Zing Ocean Conservancy, an organization and a movement, founded for the sole purpose of doing what they can to help the ocean with positivity and enthusiasm. Help it with Zing. While they still work in the tropics, they are now based in North Norway; 190 nautical miles north of the Arctic Circle, surrounded by raw nature. Here, one of the Earth’s most spectacular nature phenomena occurs every winter. The North Norwegian spring spawning herring migrate into the fjords. Their followed by some of the mightiest creatures of the ocean – whales. Orcas follow the herring migration year around, while the Humpback Whales dip into the feeding frenzy on their way down to the tropics. Here, where this nature phenomenon happens every year, we hope to make an important positive impact on the marine environment, so that the whales can safely migrate back to their feeding grounds for years to come.